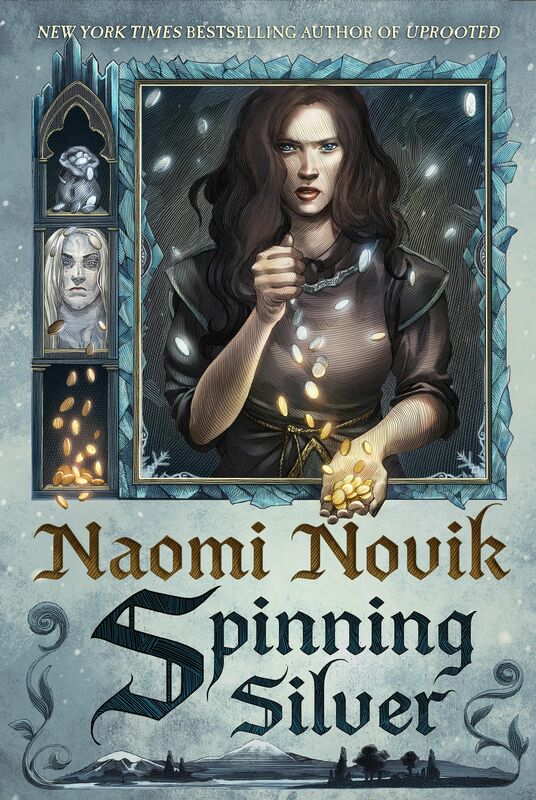 Every month going forward, bestselling author Naomi Novik will accept questions from her fans via her website and answer five of them. It has already begun. Below you will find Naomi’s answers from questions sent into the website in March 2012, but if you have any questions for her—about her work or craft of writing—visit Ask Naomi and send in your questions! Sean DeVoe writes: If you were going to write in another era in the Temeraire universe, what era would you use? Barnaby Williams writes: Since the Spanish failed to conquer the Incans, did they also fail to conquer the Aztecs and Maya? How much of Central and South America (and the Antilles Islands) remains free of Spanish rule (I know it’s mentioned in Tongues of Serpents that Chile exists…)? Naomi Novik responds: No, in the Temeraire universe, the Inca are the only Central/South American nation that successfully resisted conquest, because of the human society’s close relationship with dragons, who essentially held down the fort and resisted occupation even while the human population was being decimated by disease and highly vulnerable. Cassandra writes: After finishing Crucible of Gold (which was amazing), Granby’s situation seemed to underscore the loneliness of Lawrence. Is there a mate of some sort in his future? Naomi Novik responds: No comment. :D But I do hope we’ll see Jane Roland again. Ann Marie Rost writes: I’ve just finished Crucible of Gold – and so the obvious question is – when will the next book be published? Naomi Novik reponds: As quick as I can finish writing it! The publication date won’t be set until after I turn it in, but hopefully Spring or Summer 2013. Jamahl Reynolds writes: I am concerned with the “first” egg Temeraire had with Felicita. Am I supposed to be under the impression the egg was a dud because the stories constantly eluded me to believe this egg never existed. Will the “First child” of Temeraire make an appearance sometime in the series? Naomi Novik responds: Alas, no, Temeraire and Felicita did not actually succeed in producing an egg despite the best intentions and a very sincere effort by both parties! The attempts to get an egg sired by him during his stay in the breeding grounds were also ineffective. To begin asking Naomi your two questions, please completely fill in the form below. Then check back every month as the newest batch of Ask Naomi will be posted. Be sure to send in your own questions. Who knows? You might be featured on her website! When will the Victory of Eagles extradited and to Greece? You’ll have to contact your bookstore or the Greek publisher. Writers rarely know when their books are going to be released in foreign countries. Good luck! As mentioned in the March Q&A, you’ve written a “Temeraire universe” story called ‘Vici’, set in the Roman era, would you ever consider writing one that’s set closer to modern day? I think it’d be interesting to see how Temeraire (assuming he can live that long!) et al cope with the modern-day Aerial corps of the RAF. I’m getting a little ahead of myself having only just started ‘Empire of Ivory’ but I think it’d be an interesting prospect! I agree… except it should be with his kids instead. How are you, Naomi ? I am Park jong hun in Republic of Korea. I am your ardent fan. I am reading TEMERAIRE on your own. Because I get to know you wrote the book , 6th volume TEMERAIRE today. I want to say firs I am sorry that I didn’t know your 6 volume was released. In fact, I got to know that TAMERAIRE 6 book has been publishad 3 weeks ago. in my hand with difficulty. I want to ask to keep writing the story of Ajikgeus . I am not ready to be separate from the hero. Hope to have a chance of reading your novel. Postscript:Sorry I am not good at English Although you have difficulty in understanding my letter, plase keep in mine that i am looking forward to your next story as your ardent fan. when will crucible of gold be out in the philippines? i have already purchased the first six books and currently reading the fourth. i cant wait to complete the whole series and finish them all. every chance i get i go to the bookstore and look for the next book that i need. When is your website going to be fully operational? it seems there is much content that needs to be implemented like videos, and gallery, and the FAQ seems rather lacking as well! Please say there’s still more of the series after Crucible of Gold. I keep on delaying buying the said book until I am calmed down by a certainly that there’s going to be another one. I won’t be able to stand it should it be the last book in the series. Your website doesn’t seem to hint any new ones — is this a good sign, since I believe you are busy writing the next one (that’s my question)? Please don’t stop the series. hello from france ! , when your 6th book will be released in my country ? do you speack french ? what about the moovie of “Temeraire” série ? Naomi, I was wondering if you were influenced by Anne McCaffrey’s Dragon Riders of Pern books. I love both yours and Anne’s books. I am looking forward (with some trepidation), the live action productions of your and possibly Ms. McCaffrey’s books. Any upcoming news? Have you read “The Black Count: Glory, Revolution, Betrayal, and the Real Count of Monte Cristo” by Tom Reiss? If not, I highly recommend it. In addition to being highly entertaining, it contains some interesting and obscure information on Napoleon and other French commanders.